Talks, bazaars and sales are all coming up this weekend! 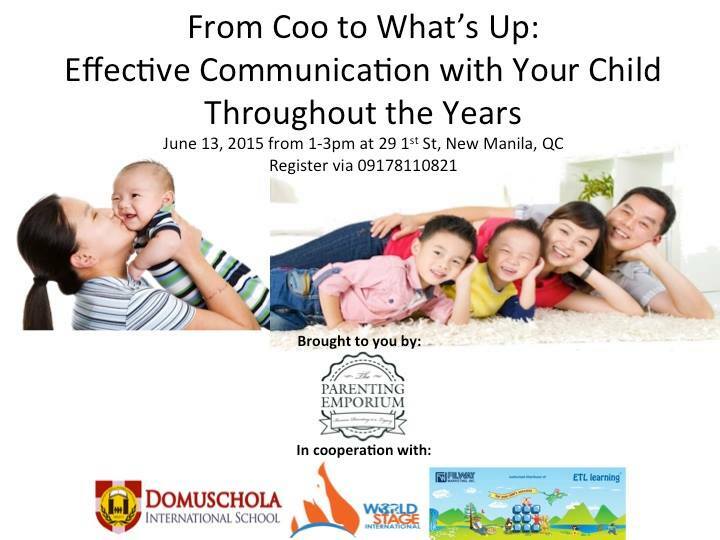 Learn the best way to effectively communicate with your child at “From Coo to What’s Up: Effective Communication with Your Child Throughout the Years”. The talk is happening this Saturday, June 13, 1-3 p.m. at 29 1st St., New Manila, Quezon City. To register, contact 09178110821. There are two major takeaways from this Saturday’s talk “Parenting in a Digital World”. First is the effects of technology and interactive media in your child’s development, and second, to know how you can raise your child effectively in a technology-saturated environment. The talk is happening this Saturday, June 13, 9-11 a.m. at 29 1st St., New Manila, Quezon City. 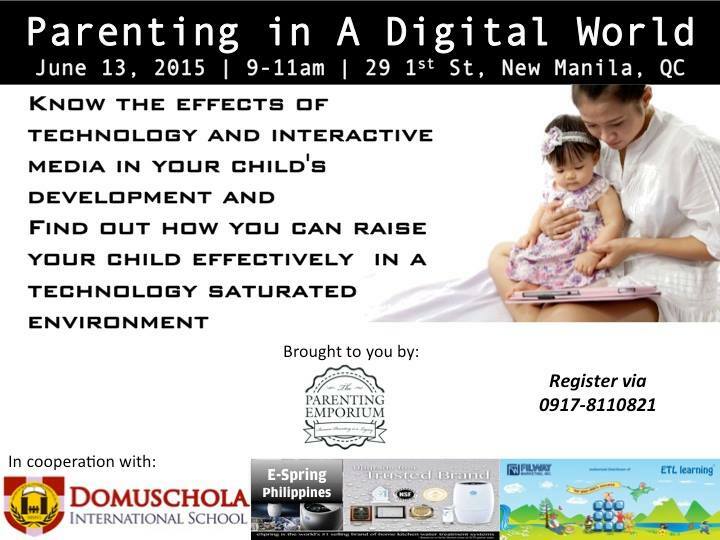 To register, contact 09178110821.